The City Council's Draft Regulation Formation Board (Bapemperda DPRD) once again held a meeting to discuss the draft bylaw on Industry along with Jakarta Industry and Energy Dept.
" Certainly, there are important things to be discussed. 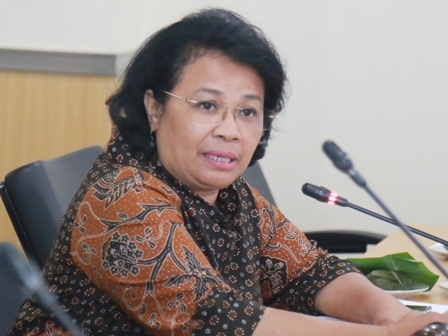 First, how about capital, promotion, zoning, and human actors of this effort"
Jakarta City Council Bapemperda Vice Chairman, Merry Hotma expressed that the discussion was focused on how to improve, empower, and develop a creative small and micro manufacturing (IKM) in the capital. "Certainly, there are important things to be discussed. First, how about capital, promotion, zoning, and human actors of this effort," he expressed, in the meeting held at City Council building, Tuesday (7/18). In the meeting, his party highlighted the preparedness of Jakarta Industry and Energy Dept. in accommodating four important matters. "This is important thus when it is approved in plenary meeting, we can convey if they are ready to implement the plan," he explained. At the same time, Jakarta Industry and Energy Dept. Industry Division Head, Elisabeth Ratu RA explained, about more specific work plans, his dept. would formulate the rules of the Gubernatorial Regulation. He added, one of rules that will be compiled is regulating the zoning of 28,479 IKM actors in the city. "Because 70 percent of IKM doesn't exist in industrial zoning," he closed.